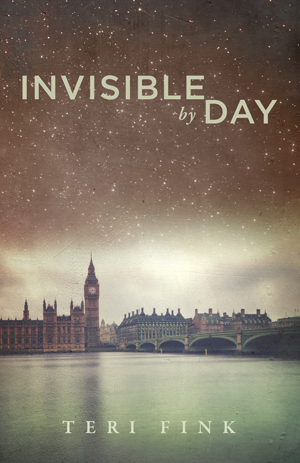 Invisible by Day is the story of young Kate McLaren and the three men in her life: the aristocrat who wants to bed her, the boy from her village who wants to marry her, and the man who must save her. ​Invisible by Day won the Pinnacle Book Achievement Award for Fiction, for Fall of 2018. First place, nonfiction, in the Pacific Northwest Writers Association Literary Contest 2011 for My River Sava, the story of an elite Yugoslav athlete interred in a prison camp during the Bosnian War. Finalist in the San Francisco Writers Contest 2013 for My River Sava. First place, Write on the River Writing Contest 2014 in fiction, Ghosts of my Countrymen, a short story of intrigue. Finalist, short story, Pacific Northwest Writers Association Literary Contest 2015 for Ghosts of my Countrymen. Finalist, Tucson Festival of Books Literary Awards January 2016 for The Clovis Dig. Best in Category for Writing, Washington State School Public Relations Association, 2018. "Often books are good because of the story. There are a few that are special because the words are beautiful and take you to another place and time. Those are harder to find. You have both! I loved it! I look forward to your next book!" A very fun read. I love historical fiction and this story really took me to the time and place of World War I in London. The main character was not born into nobility but made a life for herself, despite mistakes along the way. She was a character to invest in and care about. I read it quickly because I couldn't put it down. The novel provided both heartbreak and hope and leaves the reader feeling like they have taken the journey along with Kate. Highly recommend! "Invisible by Day grabbed me on the opening page and kept me reading all the way to the end. The story of feisty Kate MacLaren in 1910 London instantly caught my interest. This book provided a real flavor for the city, the fashion and the culture of the times as well as characters that came fully to life as they faced the daunting challenges of the era. Teri Fink gave us a fast paced story that's full of surprises, and a leading lady you can't help but root for. A great read. I can't wait for her next book." "Teri Fink's first novel is a genuine page-turner, the kind of book you want to have on a long flight or a lazy few days on a beach. It richly rewards the investment in time and money required to read it, and that's not a small thing. I don't want to say much about the characters or plot, because discovering them is the entertainment you'll get from the book. However, the people and events are completely believable, in part because of how well the author researched the time period and how stylishly she describes it. She very obviously knows how to put words and sentences together. This book is suspenseful, fast-paced, and satisfying. If you're looking for entertainment, it would be hard to do any better than this. I recommend it most highly." "This book is a gripping story that draws the reader into another time and another place. I found it east to read, difficult to put down. I am very impressed with Teri Fink's writing, and look forward to reading more of her work in the future." "The story grabbed me right away and kept me involved throughout. I kept being surprised as the plot and characters continued to unfold and develop. I was only disappointed when the novel ended ~ I wanted more. Hoping a sequel is in the works!"